The tiny Pacific nation of the Marshall Islands experienced more than a decade of US nuclear testing, equivalent to 1.6 Hiroshima blasts per day, every day, for 12 years. Can the enormous nuclear, and now political fallout serve as an impetus for global nuclear disarmament? And will climate change and rising sea levels render the islands radioactive and uninhabitable before 2050? 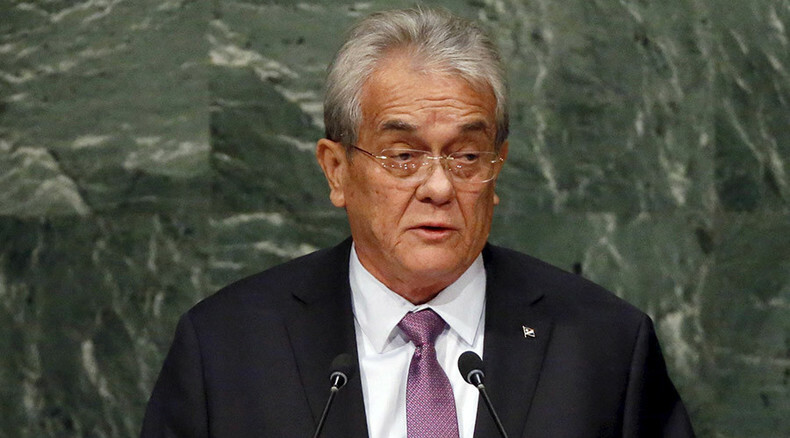 Oksana is joined by Tony de Brum, the Foreign Minister of the Marshall Islands, to take a shot at these issues.